Upton’s Natural’s founder Daniel Staackmann pioneered flavored, wheat-based seitan and has now launched the first-to-market seasoned and ready-to-eat jackfruit in the United States. What were you doing before you started Upton’s Naturals? I’ve had several different jobs, but to pay the bills right before and during the early years of Upton’s Naturals I bought and sold design (i.e., furnishings by designers such as Charles & Ray Eames, George Nelson, Gio Ponti, etc.). I could find something in the trash or at an estate sale during a few hours each week, sell it at auction and be able to pay the bills for a few months. That allowed me to focus more on development of Upton’s without having any outside investors. Tell us about the first time you had jackfruit. I first had Jackfruit in a curry at a Nepalese restaurant. I really enjoyed it and after doing some further research I saw that there were a number of recipes online where people were using it for BBQ and tacos. The problem we found is that the only way to make those recipes was to hunt down cans of Jackfruit from Asian specialty food stores, which usually have preservatives, a ton of sodium and then it would take 1-3 hours to cook before you could eat it. We thought it would be great to have a product that had clean ingredients and was ready to eat in much less time. What is it about jackfruit that makes it a perfect meat substitute? It’s all about the texture, which when cooked down, is very similar to shredded poultry or pulled pork. What do you think is the biggest challenge vegan cuisine faces as it becomes more mainstream? It’s only getting easier as more people are seeing the impact veganism has on their bodies, the environment and the lives of animals. The only challenge I see is perhaps having too many choices! Any product expansions coming up soon? We do have some new and exciting items, but we won’t be making them public until EXPO West in March. Is Upton (The Guy on the Box) based on anyone? What's his story? Upton is just a fictional character, but he’s our best salesperson. Illustrated by artist Johnny Sampson. Jane is the co-founder of Veganuary. She was a vegetarian for 10 years before she met Matthew. Now she wonders why it took her so long to become a vegan too! Jane thinks that Veganuary is the perfect way for people to try vegan food and learn about the suffering of farmed animals and the impact that meat-eating has on people’s health and the natural world. When and why did you first decide to launch Veganuary? It all started with a wine-fuelled conversation back in autumn 2013! As passionate vegans, Matthew and I often talked about ways to inspire people to stop eating animals. The campaign came to life during one of those conversations. We were impressed with the success and awareness raising of Movember and thought we could do something similar, but to help animals. One of the best ways of reducing animal suffering is to go vegan and January seems like the perfect time as people are making New Year’s resolutions and keen to embrace lifestyle changes. So a vegan January became Veganuary! Within a couple of months, we’d come up with a name, a brand and a website, and the very first Veganuary was run late at night from our bedroom – entrepreneur and English teacher by day, animal rights campaigners by night! What was the response like for the first year? We placed a bet: I hoped 100 people might take part, whereas Matthew was a little more optimistic with a wager of 1,000 sign-ups. We both lost. 3,300 people from all around the world signed up to go vegan in January 2014, and – just like that – a phenomenon was born. The campaign received global attention, with many participants taking part from the US, Europe, Australia, and South Africa. The response was fantastic, especially in terms of the media coverage: we had articles featured in several national newspapers, online and radio. How has Veganuary developed over the last few years? Veganuary was rebranded and relaunched for the 2015 campaign with a huge new website and tagline, Try vegan this January. Backed by support from vegan comedians Romesh Ranganathan, Sara Pascoe, Carl Donnelly, Michael Legge and Andrew O’Neill, momentum for ‘the new month with the weird name’ increased and this time 12,800 people took part. Fast-forward to 2016, and a clear pattern is emerging: Veganuary gets bigger and better every year. 23,000 people (including many celebrities) went vegan this January and we’re expecting 50,000 people to take part in 2017. What support can someone expect if they do sign up to Veganuary? We’re holding people’s hands virtually through the whole process. When you sign-up, you’ll receive our daily newsletter throughout January filled with tips, offers, and advice. Veganuary.com is one of the world’s biggest online vegan resources providing people with the practical ‘how’ of veganism, including a comprehensive nutrition guide, a product directory, eating out guides, and over 500 recipes. And it’s all completely free! Our online Vegan Starter Kit includes the essentials for getting started: shopping lists, label reading guide, meal plans, baking tips, top myths – basically, everything to make January 1st go as smoothly as possible. If you have a question, then our Veganuary Facebook group: facebook.com/groups/veganuary/ is a great place to ask. With over 5,000 members, it has become an important support network for participants, with many long-term vegans providing non-judgmental and supportive help. People can also message us directly through the contact form on our website and we’ll get back to you within 48 hours. Veganuary.com and the Facebook group continue to be active all year round; the practical help and support doesn’t end in January! Do you find that a lot of people decide to carry on after January? Yes! It’s a question we ask participants at the end of January and again in August. This year 63% of people still identified as vegan six months after Veganuary and 79% of the survey respondents say they intend to eat a vegan diet in the future. This includes continuing vegans, but also an additional 16% who currently eat at least some animal products. So it’s very encouraging! What we also try to calculate is the number of animal lives spared as a result of people going vegan. Our data analysts take into account a number of factors and estimate the lifetime impact of Veganuary has been to spare more than 2.2 million animals. We had a little cry when we first heard this figure. Is Veganuary just a UK thing, or all over the world? Veganuary’s a global campaign. This year we had participants from over 142 different countries take part. The site currently has country-specific pages for the USA, Australia and South Africa. A Spanish version of Veganuary.com will also go live for our 2017 campaign. As the second most widely spoken language, having our resources available in Spanish will increase the global scope of the campaign considerably. Our ultimate goal is to improve the accessibility of Veganuary for all non-English speakers and we have plans to begin German and Italian translations next year. If the main event runs throughout January, what do you do for the rest of the year? Founder of Vegan Shift to empower a rapid world vegan shift for sustainable living on earth in health and peace with fellow earlings. First of all, we’d love to hear your “vegan evolution” story. How did you start out? Did you have any early influences or experiences as a young person that in retrospect helped to pave your path? It was a series of events and influences. I have always loved animals, thankfully I was raised by a family of animal lovers who taught me to treat individuals the way I would like to be treated; unfortunately, like most people in the US, I had no idea how disconnected I was from reality. Today, I can honestly say I suffered from an arbitrary, nonsensical perspective regarding fully conscious animals/individuals and had placed them into two categories: the animals I loved and protected as pets and wildlife, and the animals I consumed as commodities to eat, wear, use in entertainment, supported experimentation on, etc. While I technically understood I was consuming animals and their products, my actual contemplation on the details of what that really meant up until 1995, was non-existent. I can remember thoughtlessly stating the weak, cultural programming mantra of “That is their purpose” which is what makes me so hopeful for empowering a rapid world vegan shift. Informed people who have the same values can adapt their behaviors based on critically important and compelling information, now faster and easier than ever (especially compared to nearly 20 years ago when I first began to be exposed to these issues). As I became more informed of the facts surrounding the present cultural foundations, the path and behaviors to live consistently in alignment with my values for peace, liberty, justice, love, dignity, respect, empathy and compassion, and my claims to love animals, people and the planet became self-evident: I must live vegan. My mom was probably my most dominant influence by providing in the foundations of love and respect towards other earthlings. Walt Disney, Dr. Seuss and superhero stories and films were probably subconsciously others, as all of those stories and films portrayed heroes and heroines as those whose ethics and actions represented love, respect, kindness and the rescue of animals in need of help, whereas the “evil villains” were those who were uncaring, abused and/or threatening to kill/or killed innocent animals. Imagine that you are pre-vegan again: how could someone have talked to you and what could they have said or shown you that could have been the most effective way to have a positive influence on you moving toward veganism? For me, I would hope that conversation would have happened very early in life. I wish that Ruby Roth books such as “That’s Why We Don’t Eat Animals”, “Vegan is Love” and “V is for Vegan” would have existed when I was a child. If I would have been told the truth then, and had been given a choice to live in alignment with my ethics, instead of being sheltered from the reality of what I was participating in, and denied even the decision (through absent vegan options on menus in school or restaurants, and cultural events anywhere), I know I would have been open to and especially if empowered, to living vegan as a toddler, since loving and connecting with other animals were my natural instincts, tendencies and behaviors. The fact that these options are not given and that the violence and reality associated with our consumption of animals is largely hidden through misinformation by official sounding organizations, euphemisms and outright lies that make the intolerable tolerable have enabled and glorified violence in a culture that claims to be an ethical, modern, civilized, and humane society. This is an epic perversion and violation of collective social values and norms that are now rapidly shifting vegan with the committed and organized vegan movement circumventing conventional programming through the use of social media and in conjunction with the cumulative, scientific proof that a whole-food, plant-based diet is the optimal diet for humans to thrive, especially considering our imbalance with nature given our unprecedented human and livestock population levels destroying and displacing critical biomes such as the Amazon. Are most Americans aware that 90% of the Amazon rainforest is now gone, primarily for unnecessary livestock production, thus creating an extinction rate 1000 times the natural rate and contributing to 20,000 to 30,000 species extinctions annually? This figure has been quoted at roughly equaling 200 species extinctions per day by some scientists. 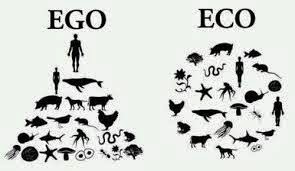 Any intelligent and rational individual should resonate with self-preservation connected with their reliance on ecology, if nothing else. A large part of the problem is that people are ignorant to the facts, literally addicted to animal products, or have a financially vested interest, so all too often, rational and intelligent decision making can be met with the significant and catastrophic resistance as time is not on our side at the rate our population continues to grow, resources are consumed and thus causing ecocide. What have you found to be the most effective way to communicate your message as a vegan? For example, humor, passion, images, etc.? I actually believe that using ALL of the tools listed above can be the most effective in a given circumstance. People are so different: one method will not fit for all applications. It is crucial to know your audience. Going to the fairgrounds in protest with angry chants paired with slaughter images condemning 4-H clubs/livestock producers is not likely to yield as much support or consideration as going to the fairgrounds providing a delicious vegan junk food booth, vegan health food options, and some veganic agriculture demos and information. (People who are concerned with their health/or have health conditions still like to take their children/grandchildren- who may also have health conditions they must be mindful of- to the fair). Humor is one of the best ways to reach people on the planet, especially when telling provocative truth. Bizarro comics are brilliant. Patience, understanding, compassion, love, with passionate, straight-forward, consistently firm, empowering messaging, are critical pieces of overcoming a lifetime of deceptive programming. The choice of language one uses is SO important in these interactions. Avoid making “you” statements: instead say “our, we, us” as in, the collective society. Telling your personal story, how you arrived at the decision to be vegan, can often be so powerful to compelling others. Never tell someone they are “wrong”. Speak in terms of consistency of behaviors of ethics and characteristics we value. Use questions to help draw out their barriers. “What is stopping you from being vegan?” Frame your discussions of living vegan as one of a consistent, compassionate, peace movement with abundant, delicious, nutritious, healthy, sustainable, love inspired options, and avoid anything that says we are the culture of “No, this, no that, restrict this, restrict, that, limited this etc. “You don’t have to give up meat, dairy and eggs!- you can have them all, only they are made from plants!” “Yes! We can have cheesecake and ice cream, made from delicious creamy plants like cashews, almonds, coconut, etc. !” Empowering the transition peacefully is our best chance for rapid world vegan shift. What do you think are the biggest strengths of the vegan movement? What do you think are our biggest hindrances to getting the word out effectively? Post-Traumatic Stress Disorder induced Angry Misanthropic Vegan Activism. Raging vegans that scream at others and post a never-ending stream of graphic violence only find themselves preaching to the choir that can stand them. Those who are doing that need to be taken in and loved, and mentored into channeling that completely justifiable rage and anger into something that can build bridges to society connecting others in empowerment for a rapid vegan shift. Lessons in inspiration of galvanizing and organizing people in social justice movements can be modeled after the Quakers, Gandhi and Martin Luther King Jr.
All of us need a “why vegan” elevator pitch. We’d love to hear yours. I say it with a shirt – affectionately referred to as “The VEGAN BEACON”: I wear the Nonviolence United VEGAN shirt like a uniform almost everywhere I go (especially if I know there is going to be a crowd, the grocery store, a concert, a festival, a movie theater) because it is black with white lettering, people with normal vision can see its fantastic message from up to a city block away: Compassion, Nonviolence: For the People. For the Planet. For the Animals. Who doesn’t resonate with that? I have yet to meet anyone who said anything negative about the shirt’s message. That shirt has a number of responses from people: the vegans automatically connect (often with hugs and elation or simple commiseration); the pre-vegans begin to ask questions; the potential re-vegans make confessions for their departure which are often really a subconscious invitation to encourage and empower them to try again. (Seasoned experience has taught me that the worst response to someone who makes such a confession is to assault them with vitriolic contempt and judgment for the betrayal of the innocent, as instinctive as it is to rage against them, trust me on this: Offering an empowering hand takes genuine patience, wisdom and maturity. Vegans are teachers, and as such, we must provide an ethos that promotes the sense of safety and mindset required for learning: treat others with respect, even though we know that they are not respecting those who are literally dying as a result of their decisions.) So instead of castigating the fallen, make a friendly offer to help them to try again. I carry copies of Vegan Shift’s 300 Vegans Vegan Resources Guides and A Life Connected brochures. Only people who are really adversarial (vested financial interest, strong addiction or a burning case of cognitive dissonance) ever respond negatively to the NU VEGAN shirt, a warm and friendly smile, congenial or compelling, passionately delivered responses and empowering resources. Even the most negative people can be turned around with the right approach. People love and are inspired by passion, conviction and consistency with one’s ethics, not by preaching and condemnation. Who are the people and what are the books, films, websites and organizations that have had the greatest influence on your veganism and your continuing evolution? Specifically, the vegan path began with Moby, The Animal’s Agenda, books like“Mad Cowboy” and “Vegan: The New Ethics of Eating”, “The Food Revolution”and the groups like PETA which showed me the graphics of “Meat Your Meat” and volunteering locally for Mercy For Animals which connected me to an actual vegan support community. Later, I resonated with Harold Brown, Gary Francione’s abolitionist approach, and others like Tom Regan, Gary Yourofsky,Steve Best and began studying social justice movement strategies recommended by Harold Brown with books such as Bill Moyer’s “Doing Democracy”. Matt Bear’s Nonviolence United materials have been so effective they are what I have predominantly chosen for the 300 Vegans campaign/project as standard messaging (Vegan Shift is a hub organization for promoting the excellent, consistent vegan messaging resources already available across the movement, not reinventing the wheel). Ultimately, over the now 20+ years of development through military service (Decorated, Honorably Discharged USAF Desert Storm Era Veteran) and a leadership career in both public and private sectors, extensive reading, formal education, volunteering with different organizations (including and beyond the animal rights movement) and rigorous debate in life experience, I’ve taken the best of both what I resonate with and have learned from all of these exposures to develop what has become Vegan Shift. Burn-out is so common among vegans: what do you do to unwind, recharge and inspire yourself? What is the issue nearest and dearest to your heart that you would like others to know more about? The single most important and far- reaching action I can take to live consistently in alignment with the values, ethics, feelings and characteristics that all conscious earthlings crave: peace, liberty, justice, nonviolence, dignity, respect, love, empathy and compassion.